African elephants are big animals with big needs and move daily around the savanna in their endless quest for food and water. We know that they can cover a lot of ground in a surprisingly short time, but do they really migrate? A new study from the Conservation Ecology Research Unit (CERU) at the University of Pretoria set out to unravel migration in the world’s largest terrestrial mammal. Migration, a term often associated with wildebeest in the Serengeti, is more common amongst large mammals than one might think, particularly in species that inhabit highly seasonal environments. A common assumption is that elephants also migrate but until now there has been a lack of evidence to support this notion. “We know elephants can move long distances and that these movements often coincide with changes in season, but whether or not these movements were migratory was hearsay,” says Professor Rudi van Aarde, supervisor of the study and Chair of CERU. The research project has so far been running for over 15 years. The study, published on Friday in Scientific Reports, set out to answer a very simple question: Do elephants migrate? It turns out the answer is a bit more complicated. The current study, which is one of the largest studies on elephant movement to date, comprised of movement data collected over 15 years from 139 savanna elephants distributed across seven southern African countries. Of the 139 elephants, only 25 showed migratory movements – to and fro movements between two non-overlapping seasonal ranges. Of these 25 elephants, only six migrated more than once during the period they were tracked. Although it is unclear as to exactly why these elephants migrate, theory suggests that benefits for migratory individuals include exploiting changes in food abundance or quality, accessing spatially limited resources, or even escaping competition from other individuals. 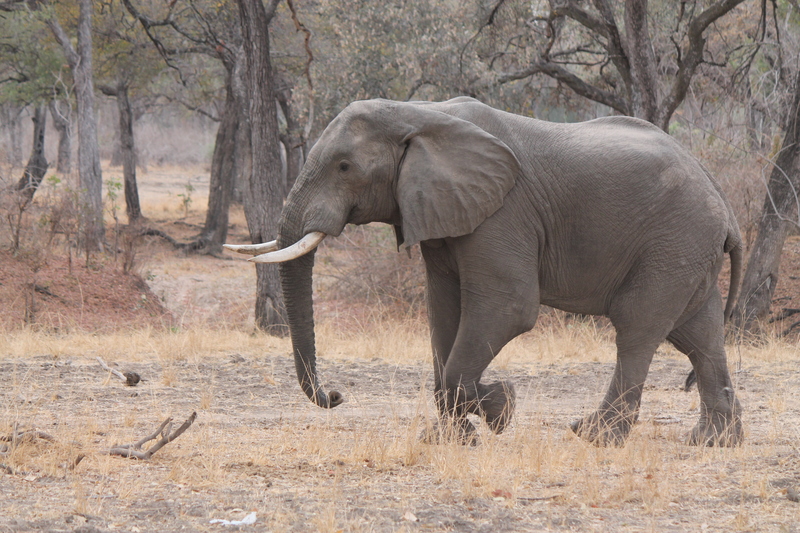 The International Fund for Animal Welfare (IFAW) has supported CERU’s long-term studies researching meta-populations of elephants across southern Africa for more than a decade. These results highlight the adaptive and flexible behaviour of elephants but also their spatial needs. Although few elephants migrated, most of the protected area clusters that were studied harbored migratory individuals. These included elephants in Etosha National Park in Namibia, Chobe National Park and Moremi Game Reserve in Botswana, Hwange National Park in Zimbabwe, Kruger National Park in South Africa, North and South Luangwa National Parks in Zambia, and the Quirimbas National Park in Mozambique. However, almost all of the migrations moved beyond park boundaries and 11 migrations crossed international borders. According to Michael Mole, co-author on the paper, “The one thing these protected areas all have in common is that they are large, often buffered by secondary protected areas, and are relatively un-fragmented. 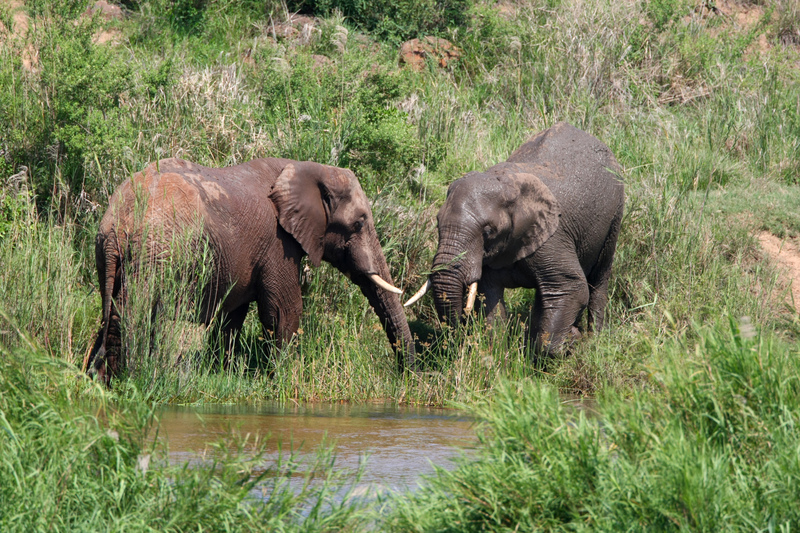 Migrations need space, some of these elephants’ travel over 100 kilometres to reach their seasonal ranges. Nowhere else is this clearer than in northern Botswana, where 15 elephants migrated. The national parks and surrounding protected areas form a vast protected and mostly undisturbed heterogeneous landscape. “At a time when long distance dispersals are disappearing, this research underscores the importance of northern Botswana’s landscape to support some of the world’s longest large mammal migrations” explains co-author Dr Mike Chase, director and founder of Elephants Without Borders. Migrations need space, some of these elephants’ travel over 100 km to reach their seasonal ranges. Nonetheless, the study begs the question. Are national parks big enough to adequately protect elephants? Elephants that are moving beyond protected areas are at a higher risk of poaching and increasing human populations and habitat fragmentation are a reality threatening to isolate and fragment protected areas across Africa. So can more be done? ABOUT IFAW Founded in 1969, the International Fund for Animal Welfare (IFAW) is a global non-profit organisation that protects animals and the places they call home. With offices in 15 countries and projects in over 40, we rescue, rehabilitate and release animals into secure landscapes around the world. In collaboration with governments and local communities, our experienced campaigners, legal and political experts, and internationally acclaimed scientists pioneer lasting solutions to some of the most pressing animal welfare and wildlife conservation issues of our time. CITATION: “Partial migration in savanna elephant populations distributed across southern Africa” Andrew Purdon, Michael Mole, Mike Chase, Rudi J van Aarde. Scientific Reports; July 27, 2018.